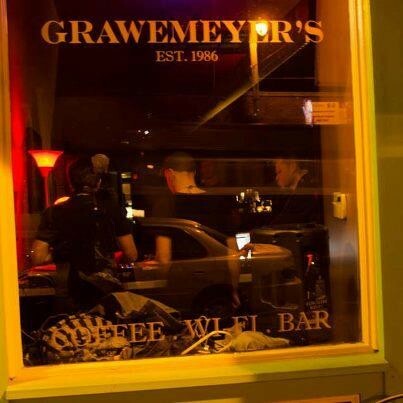 Grawemeyer's, which opened a little more than a year ago in a charming old porters hotel on South Main, added a new focus on German cuisine a few months ago. According to Cynthia Grawemeyer, who owns the restaurant with her husband Mark, the restaurant's menu had been through variations with different chefs, but at some point the couple decided to stick with what they knew, and that was German food. Both Cynthia and Mark are from German stock, and many of the dishes they serve are based on family recipes. Some of the recipes were gleaned from letters from the 1950s that were written between Mark's mother and her sister. The menu includes a German dinner for two with bratwurst, frickadelle, and knackwurst served with sauerkraut, applesauce, and mashed potatoes. There's also spaetzle and schnitzel. They also offer rolls imported from Germany. The rolls have a hard crust and are soft on the inside. For those looking for lighter fare, Cynthia notes that the black bean burger is one of their biggest sellers. 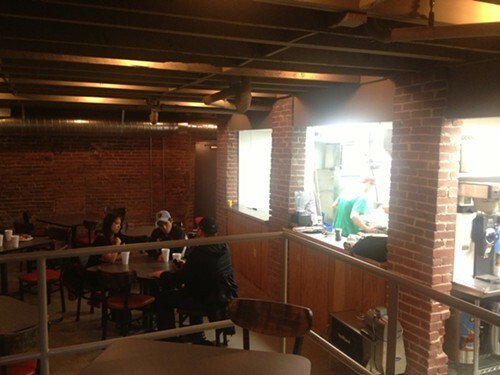 They also serve deli sandwiches, salads, breakfast items, and more. 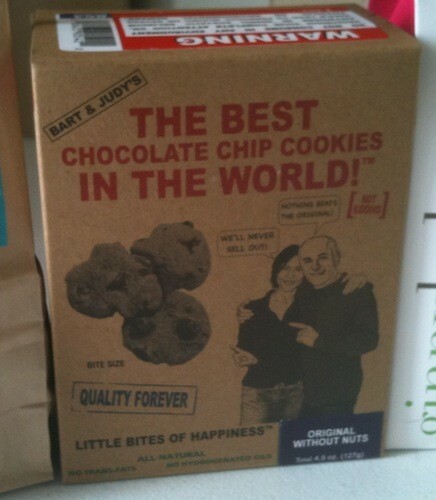 I'm a sucker for hyperbole, packaging, and gimmicks, so of course I bought a box of Bart & Judy's The Best Chocolate Chip Cookies in the World! I got these at Fresh Market. I thought the $5.99 was a tiny bit steep for a 4.5-oz box, though I guess that's a bargain compared to the limited edition Chocolate Noir cookies priced at $6,400. 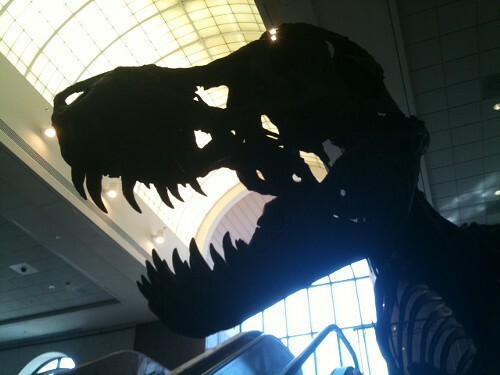 A sign to Bella Caffe at the Pink Palace Museum directs you to go behind the T-rex. And there you'll find the small cafe with a big menu featuring grilled and cold sandwiches, salads, soups, dessert times, and a long list of cold and hot drinks. 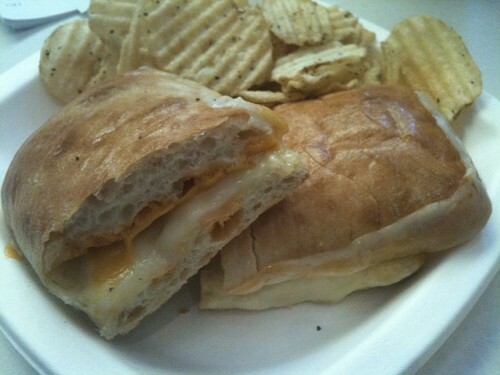 I ordered the Quattro Formmagio ($6.25), a grilled cheese with cheddar, swiss, mozzarella, and fontina cheese. I detected maybe a little spicy mustard. Not sure, but it's a nice touch to an already solid sandwich. Other options include the Blue Roman, roast beef with blue cheese and horseradish ($7); a Muffaletta panini ($6.50); and an Italian pimento cheese made with mascarpone (!) ($4.75). From the drink menu, there's the Piggly Wiggly, a frozen maple bacon mocha ($4.70). • "Gals into grolsch. Ladies into lagers. Princesses into pilsners. Angels of ale ... " that's Girls' Pint Out, a national organization for female craft beer enthusiasts. 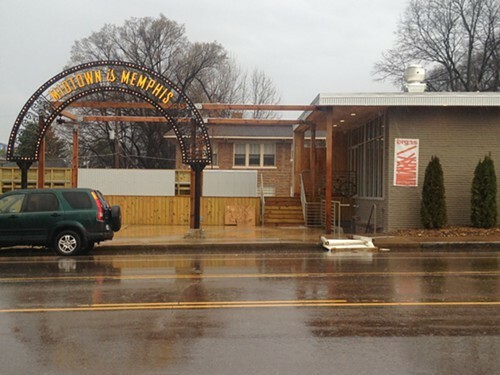 The Memphis chapter of GPO launches on Wednesday, March 27th, 7-10 p.m., with a kick-off event and meet-and-greet at Young Avenue Deli. 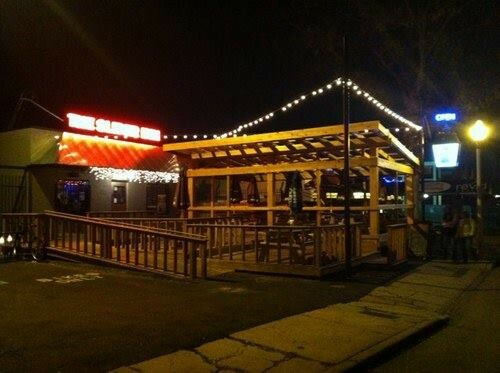 • Project Green Fork will be the first local non-profit honored during Playhouse on the Square's Four Seasons Cocktail Series, which begins Wednesday, March 20th, 5:30-6:30 p.m. The parties are being held on Spring Equinox (March 20), Summer Solstice (June 21), Autumn Equinox (Sept. 22), and Winter Solstice (Dec. 21). The idea is to get folks out and engaged. Guest will learn about the nonprofits, and each event will include a signature cocktail as well as light hors d'oeuvres. The other nonprofits are Indie Memphis, Overton Park Conservancy, and Memphis Youth Symphony Orchestra. The parties are free, but donations will be accepted to benefit that evening's honored nonprofit. • Felicia Suzanne's marks its 11th birthday on Friday, March 22nd. There will be a special 5-course tasting menu (with a vegetarian tasting menu available! ), as well as cupcakes for lunch and sparkling wine for dinner. At Low Arts Tea Haven, I went straight for the Indian Chai ($3.50 for single-serve pot). 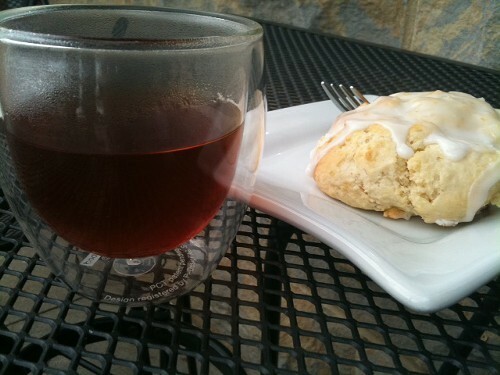 The lemon scone ($3.95) was an afterthought. The chai is a spicy star — cinnamon, cardamom. I sat with it for a minute or two just to take in the wonderful aroma. While I was Low Arts, I spotted a group doing a Tea Tasting ($19.95). This class includes info on tea types (white, black, green, yellow, oolong, roobio) and samples. 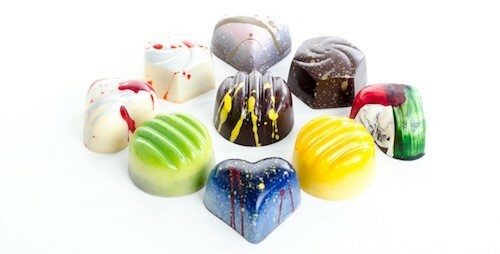 A sampling of sweets is included as well. Kroger's New Bag: "Be More Visible, Be More Accessible"
On February 7th, on The Gary Parrish Show with Geoff Calkins, there was banter about the inappropriateness of buying flowers for one's sweetheart from the grocery store. What followed was a bit of goodnatured, exaggerated backpeddling in the form of praise for Kroger — Kroger is a sponsor of the show, after all. The grocery's chain's rotisserie chicken, its grab-and-go sushi were among the virtues listed. Said Parrish, "As far as I'm concerned, [Kroger's] the only grocery in the world!" 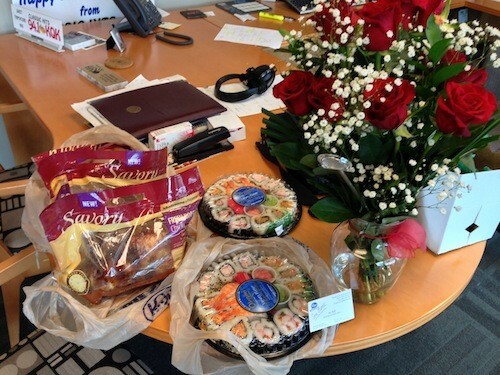 The next day, Kroger delivered to The Gary Parrish Show studios chicken, sushi, and, in fine flourish, a vase of red roses. Kroger's response was both funny and shrewd, and it is one example of the Kroger Delta division taking a more active aim at engaging the community. When the weather is as dreary as it was yesterday, it's hard not to imagine sunnier days, lounging on a fancy new patio, tequila sno-cone in hand. Chiwawa's sleek raised patio gets a rain rinse. Enter: Chiwawa, the buzzy new spot on Madison in the former, long shuttered Chicago Pizza Factory. Oh yes, they will have "adult" sno-cones with tequila and whiskey. They'll also have boozy popsicles and cheap and tasty street foods and small plates (all between $3 and $8) by Chef Crash Hethcox, formerly of Revival Southern food truck, and Travis Tungseth. 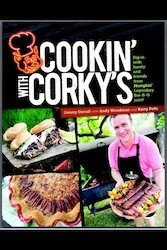 They'll be plating a variety of hotdogs and brats (including some veggie dogs! ), french fries and sweet-and-spicy ketchup, elote (grilled corn covered with spicy mayonnaise and sprinkled with cotija cheese), quesadillas, tacos, homemade chips and salsa, and their signature "Juantons," a chicken and cheese mix stuffed into wonton wrappers and fried. This, the handiwork of Yolo founder and general entrepreneurial guru Taylor Berger, was on display briefly yesterday for a menu tasting, and we liked what we saw. After quite a bit of renovating (moving the kitchen, bathrooms, staircase) Berger unveiled a hip, multilevel bar and restaurant reminiscent of some of the cool spots you'd see in Austin or Chicago. Exposed brick, industrial steel staircase, distressed wood — you know the drill. 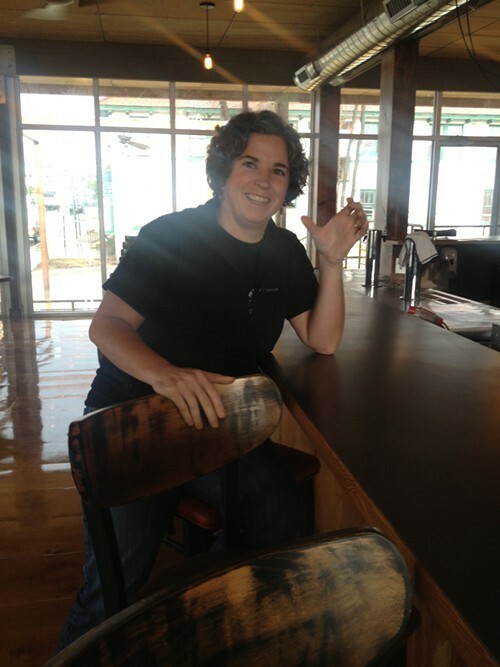 Here's a few snaps of the upstairs space, including the expansive bar modeled by local blogger extraordinaire, Stacey Greenberg. 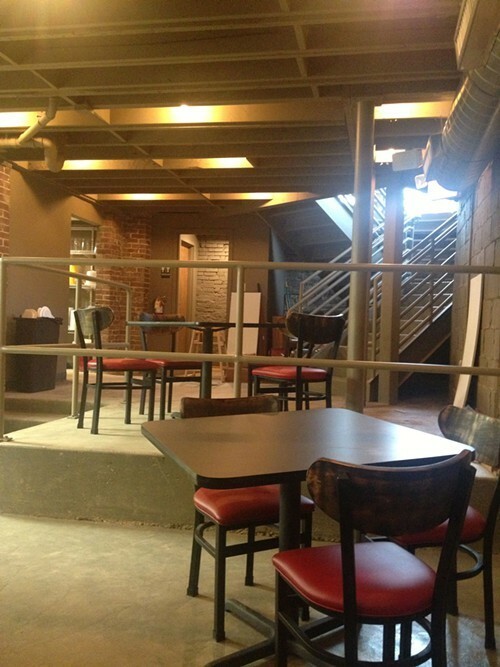 Downstairs, the open kitchen looks out over another dining space, this one a little smaller and cozier. Chiwawa got some attention in the last few weeks for its giant lighted sign that reads "Midtown is Memphis" — borrowed from the bumper sticker catchphrase that has been circulating Memphis since 1993 (coined by our very own John Branston and his friend Tom Foster.) The arched sign leads onto Chiwawa's patio and sits directly on Madison Avenue. I asked Berger how he would describe Chiwawa's menu. 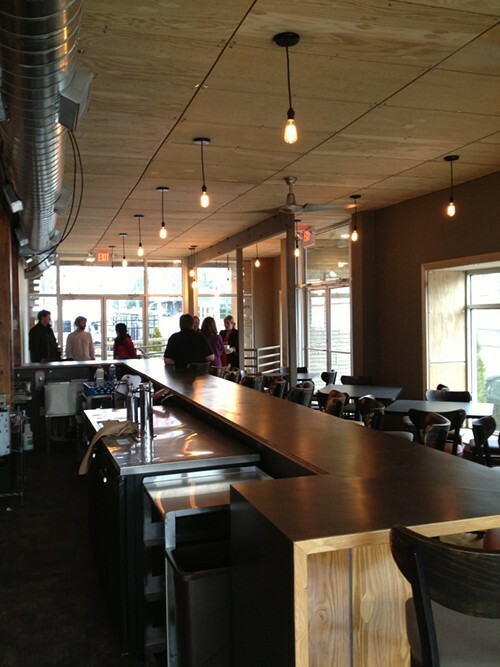 Go see for yourself this week, as Berger hopes to have the place up and running by Wednesday. Chiwawa won't have its beer license right away, so you'll have to stick to liquors and high gravity beers at first. Once the doors are open, Chiwawa will be churning out cheap eats and drinks from 11 a.m. to 2 a.m.
To celebrate St. Patrick's Day and to launch patio season, the Slider Inn is holding a Happy St. Patty’o party on Sunday, March 17th. They want you to join in them in the festivities, and to sweeten the pot at the end of this rainbow, they are offering $50 gift cards to two Hungry Memphis readers. The gift cards do not have to redeemed on St. Patrick's Day, but it's going to be a fine day. 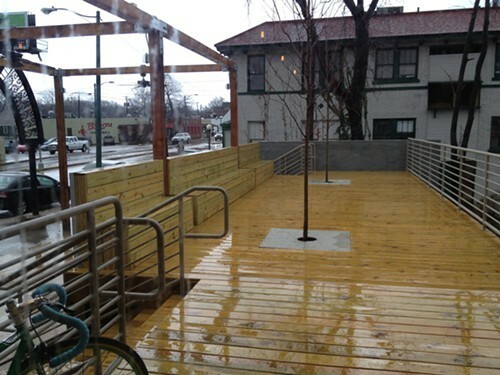 To beckon spring, the patio's plastic panels are being taken down and the heat cans removed. There'll be crawfish ($15 for 2 pounds), specials on Jameson and Guinness draft, as well as live music from the Reverent Hitchhikers, from 2 to 5 p.m.
April 4th kicks off Slider Inn's seasonal Bike Night — Wednesday-night gathering for everybody on two wheels. Enter to win here. Multiple entries are accepted. Winners will be notified on March 15th. When John Gasquet owned Empire Coffee, customers would often ask him where he got certain items on his menu and he would point him to that baker or this farmer. So after Empire closed, Gasquet found a new career path acting as a middleman between local purveyors and restaurants. It was in this role that Gasquet saw a sausage-shaped niche to be filled. Just in time for St. Patrick's Day, Gasquet and his partner Fergus Nolan are launching F Nolan & Sons Victuallers, which provides Irish sausages, puddings, and rashers to pubs and restaurants in the region. Yep, it's Girl Scout cookie time, and it would appear that Family Dollar and Walgreens want in on the action. See above for their takes on the Thin Mint. Family Dollar (who else is alarmed about how Family Dollarized Memphis is becoming?) offers a whole line of Girl Scouts-esque under the Family Gourmet brand. In addition to the Fudge Covered Mint Cookie, there are stand-ins for the Samoa and Tagalongs among them. 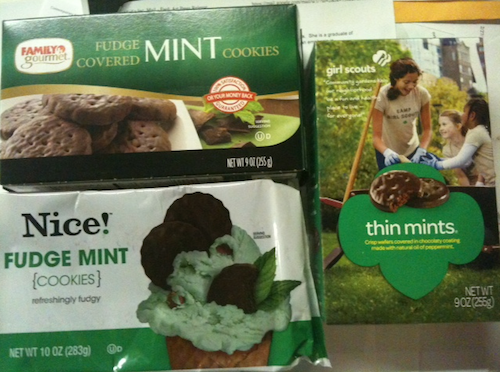 Each box sells for $1.85, as opposed to $3.50 for Girl Scout cookies. The Walgreens Nice! Fudge Mint Cookies offers more cookies per box and sells for $2.99.